When I write, I always have a starting point in some personal experiences. This aspect is very important for me, to use autobiographic elements and, stept by step, to go further and to leave the source for getting to a zone where the theme is universal. How is the woman artist’s situation after became a mother, the religious identity as a social and cultural construct, the control and the control`s practice in our society, these are the themes I work with. I believe in a dramawriting which questions itself, asks questions, more and more questions, without giving any answers. I avoid demonstrations, my texts are unforeseeable and uncomfortable, and, sometimes, I like to pose a mirror in front of the spectators. I am not so much interested in stories and characters, but more in creating puzzle pieces. The spectator has to put together all the pieces and to bring some others new if he wants to see the entire image. Elena Vladareanu was born in 1981, in Medgidia (Constanţa). She graduated from the Faculty of Letters of the Bucharest University (specialising in Romanian and French language and literature) and earned an interdisciplinary MA in Performance, Multimedia and Society from the Bucharest Centre for Excellence in Image Research, with a study on the performativity of contemporary poetry. She debuted in 2002 with the volume Pagini, after an underground debut with a small-format selection from confesiunile distinsei doamne m., printed in the Carmen series edited by Un Cristian. She has also published the volumes Fisuri (Pontica, 2003), europa. Zece cântece funerare (Cartea Românească, 2005), spaţiu privat. a handbook (Cartea Românească, 2009, with drawings by Dan Perjovschi; translated into Italian by Gabriele di Palma, Edizioni Pietre Vive 2016), Non Stress Test (Casa de Pariuri Literare, 2016). In 2011, she started working together with her partner, the theatre director Robert Bălan. They created together a radio performance for children, În direct din Feliningrad (Live from Feliningrad, which premiered in 2011) and Bâzdâc (which premiered in March 2014). In 2014 she created, together with Robert Bălan, the performance Habemus bebe, a manifesto about maternity. The premiere took place in April 2014 at the Working Art Space and Production (WASP) in Bucharest. 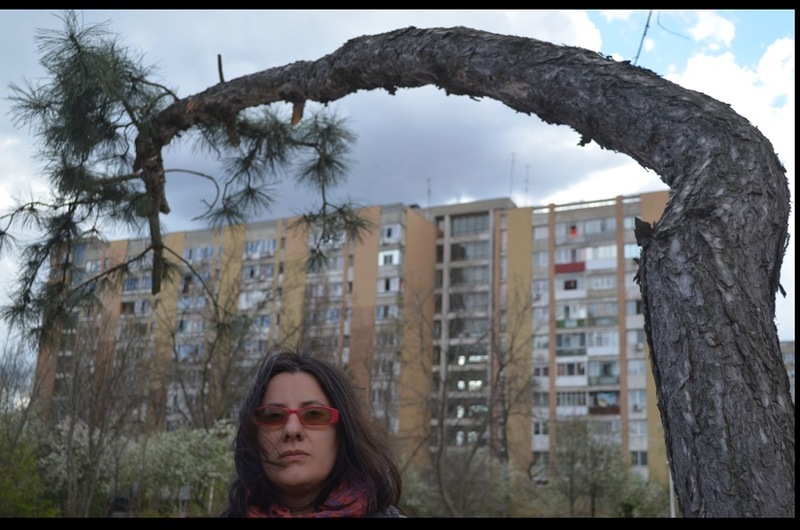 The text was tranlated into Bulgarian (by Lora Nenkovska) and published in 2015 in a Romanian Contemporary Playwriting Anthology and into Ungarian (by Anna Adorjáni) and published in 2016 in Látó magazine. In November 2014, she wrote the play for children Prinţesele-spion, directed by Robert Bălan for Gong Young and Children Theatre, Sibiu. She created with Robert Bălan the performance privat space, a do-it-yourself performance for tranzit.ro/Bucureşti Gallery (January 2015). In December 2016, together with Robert Bălan she created for The National Theater in Târgu- Mureş the performance A Secure Life (O viaţă sigură). During September 2017, together with Robert Bălan she created the performance Identic natural (Nature Identical Flavouring, produced by Art No More together with ArtHub and with the support of ARCUB). Currently she works as a journalist for Radio România Cultural. In 2008 she received an European grant for a documentary about the contemporary Bulgarian culture. She is interested in creating poetry using the instruments of other media; her creation often revolves around the human body and its limitations, questioning at the same time its political dimension. In her playwriting, she is interested in using personal informations, archives and stories for creating debates around hot subjects, like privacy, intimacy, religion. Her poems have been published in several international anthologies, such as The Vanishing Point That Whistles. An Anthology of Contemporary Romanian Poetry (2011, USA) and No Longer Poetry. New Romanian Poetry (2007, UK). She lives and works in Bucharest. and even changes dramatically. Habemus Bebe deals with these changes, with the information and emotional rollercoaster that overwhelm the new mother. Three women speak about these changes, demythifying and defetishising the idea of maternity: they speak about their bodies, about nutrition, about what it means to be overwhelmed by information and by the official discourse on maternity, conceived mainly by men and men-led institutions, like the presidential institution and the Romanian Orthodox Church. It deals with vulnerability, emotion, fear, mothers. It is about facing the limits of your body and the limits of being an artist. The text is poetic, at the edge between poetry and theatre, and it is also a personal archives of norms, social pressure, public discourse, intimate thoughts and frustrations. A Secure Life is a text-puzzle whose meta-theme is the limits of surveillance in a society which is more and more obsessed with owning electronical devices, in a time where technology offers an array of means to control. The four characters, Micalia, Alina, Teo and Vio, guide the audience through several situations where the constraints and the limits of the individual freedom will be questioned over and over again. It is not by chance that the first scene is about a badger who, while looking for food, arrives near a dumpster. The badger will be taken to the Zoo after it was almost killed with the purpose to be transformed into badger lard as a remedy for treating colds in children. This represents in a way the key to the entire text: the destiny of the badger, an wild and unpopular animal- anticipates, in fact, the situations where the freedom of certain people is sacrificed for the comfort of other people. In the following scene, the four characters propose a Parents Police who identifies and unveils situations of abuse against children, the word abuse being in this context interpretable: all these situations are being considered abuses: when children are beaten up, pushed over or fed. The Parents Police makes raids in supermarkets, films shopping carts, makes speeches and encourages people to film, photograph and disseminate situations of abuse. The topic of abuse will appear again, in the following scene, in a debate about kindergardens and public vs private schools and about the use of video cameras for constant surveillance. In the next scene the spectators are approached directly as they are encouraged to reflect upon the meaning of personal data. Micalia, Alina, Teo and Vio hand the spectators some tables to be filled in with personal data, most of which will be intentionally absurd with the purpose to demonstrate how gullible we are and how easily we hand in our personal data in exchange for nothing. The following scene will close the frame opened in the first scene, the one with the badger. The topic here is new residences and the safety and comfort they promise. The innovation here lies in the perspective: from the point of view of some rats who continue to populate the area even after it was transformed from vacant, waste land to an exclusivist residential complex. The last scene comprises of a nonformal discussion between the four characters on the topic of nannies. That is, are we going to monitor the nanny or not, and if we do it, are we going to tell her we are using a hidden camera? The lack of empathy and the mistrust in the other – the woman hired to take care of the child, questions the right to dispose of the freedom of the other: where is the limit when at stake is the safety of the family and especially of the child? Is law a barrier? And if it is a barrier, are you willing to cross it, by filming the nanny without her knowledge, and by watching her constantly?